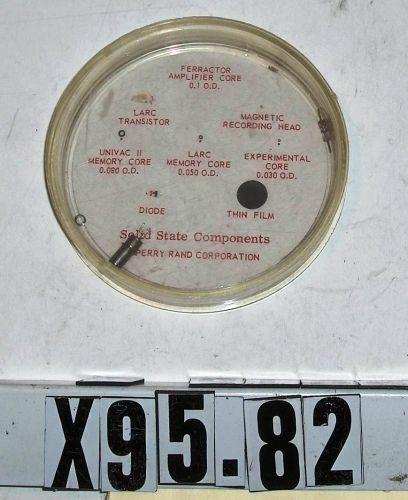 from LARC and UNIVAC. Object consists of printed cardboard with components glued on it in a display container. Components include diode, transistor, magnetic recording head, ferractor amplifier core, memory cores and a sample of thin film.